Last month I wrote an article that was published in Cruising World. Even if the newsstand copies were sold out, you can still read my article. 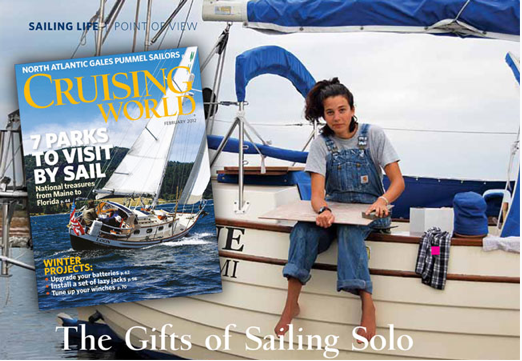 Download a PDF of The Gifts of Sailing Solo. The second-best thing that my partner, Ben Eriksen, has ever done for me was to refuse to sail with me. When he purchased Elizabeth, his Bristol Channel Pilot Cutter, I thought it was sensible that we sail together aboard her. Two hands make lighter work and better company. But Ben had different goals. He’d long dreamed of sailing solo, and he wasn’t ready to abandon that dream. But I’m getting ahead of myself. The best thing Ben ever did was ask me, “Why not sail your own boat?” He did it so matter-of-factly that I also thought, why not? I already had my captain’s license from the U.S. Coast Guard. Four days later, I purchased the first boat I could. I was the proud owner of Daphne, a 27-foot Nor’Sea. Now we’re sailing together on Elizabeth, partly for financial reasons. It’s helped me realize that sailing solo blessed me with three unique gifts. Many couples viewed Ben and me as an oddity in the sailing community. With few exceptions, most cruisers are couples sailing together aboard one boat. “Don’t you get lonely?” they asked us. Ben and I seldom felt lonely. I could nearly always see the tanbark red of Ben’s sails in the daylight or the red and green glow burning atop his mast at night. And at any moment, I could hail his vessel on the VHF to converse about sail plans or anchorages or the like. No, I couldn’t always touch his hand or see his face or talk for hours, but VHF check-ins, even with their radio-communication formalities and brief public talks, were plenty to remind me that I wasn’t alone. One of the strangest remarks on our manner of paired solo sailing came from the wife of a young newlywed couple who together had just purchased a boat. “We love each other too greatly to ever want to be apart that much,” she said. I didn’t reply. I knew the strength of Ben’s and my love, and I knew it was that strength that kept us devoted and affectionate, even from a distance. I didn’t equate togetherness with love. 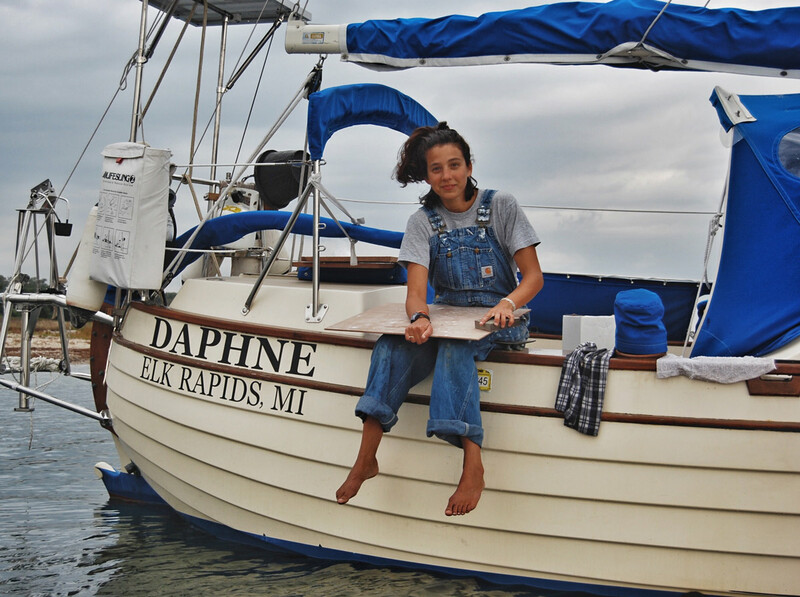 Instead, I enjoyed the solitude I had aboard Daphne. Without many of the distractions that clutter life, I was able, even forced, to sit and think for long periods of time. During these stretches, the splash of the bow wave or the soaring flight of a gull no longer seemed familiar. I watched in amazement at every sunset; I stared long at the illusions on the horizon, and unexpected thoughts took flight within me. I found that the heart can best be cultivated through introspection and solitude. The notion that women sailors aren’t as capable as male sailors represents backward thinking, but it still exists. With only one exception, every solo sailor I’d ever met was a man. With a few exceptions, every sailing couple I’d ever met was chasing a dream that had been first seeded by the male. It doesn’t surprise me that people assumed the same for Ben and me. They assumed that we sail together on one boat, that the boat is his, and that he knows more than I do. Last year, Ben and I sailed our two pocket cruisers to the Bahamas for the winter. 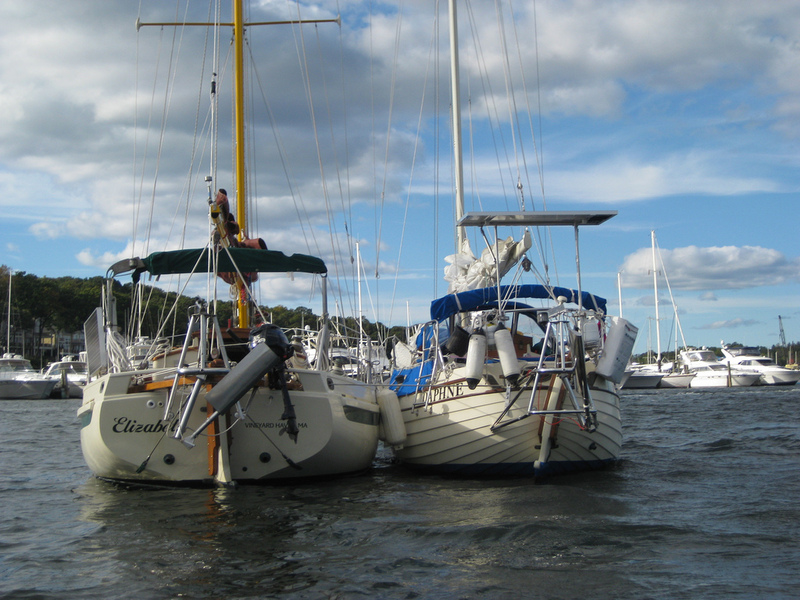 Once anchored, we often met our neighbors in passing for a potluck dinner or a drink. It was a matter of course that the men would chat about ground tackle or engine maintenance or performance under sail, and I was left out of the conversation. I felt like I was branded with a scarlet “L” for lubberly, and I was frustrated that my clout as a sailor was diminished because I lacked hair on my chest and have tiny arms and hands. Noticing this, Ben would often say something like “On Teresa’s boat, she prefers to . . . ,” his way of subtly inviting me into the fraternal conversation. As soon as he spoke, three things would happen: First, the men’s eyes would widen and they’d say, “You’re sailing your own boat—alone?” Second, they’d ask, “Why?” Finally, I’d be included in the conversation as a full-blooded sailor capable of doing what most women could do if they chose to. In only a moment, I grew hair on my chest and muscles in my arms. But you don’t need large muscles to sail a boat solo; you need a large spirit. Sailing solo was like having a V.I.P. pass that automatically earned me respect and a stronger identity within the sailing community. During the first year that I sailed solo, a blog reader wrote to me for advice. She knew that heeling on a monohull was a natural result of closehauled sailing, but even so, she panicked every time it happened, and her husband took the helm to soothe her nerves. “How do I overcome this fear, so I can sail the boat myself?” she asked me. Even those couples who break the barriers of gender convention and share equally in the responsibilities aboard will never stretch themselves quite as much as the solo sailor. Never have I been tested in sailing as I have been while solo sailing. It’s the moments when I worked hard to take care of Daphne, when all the elements of the ocean were testing me, and when all the strength of my body was gone that I found resources in myself that would’ve remained undiscovered and still buried today had I not sailed solo. These three gifts have made me a stronger, more independent, and more confidant person. I’ll always think of my time sailing solo as a rite of passage in sailing and in life. Fabulous read Teresa, Looking forward to your documentary and new book. Ahoy Captain Teresa , such a nice blog post on the C W article, I enjoyed every word ! I was always concerned about your direction to simple sailing or simplicity in sailing . It took me 11 years from the time I decided to set out ocean sailing , before I felt that I had enough knowledge to do it solo . This 11 years included a false start on a 27′ Pacific Seacraft “Orion” 27, then later purchasing a BCC , to fulfill, that ambition. 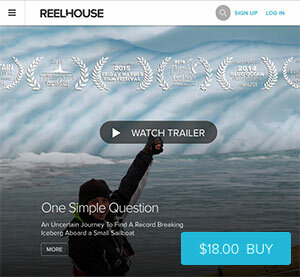 I found “NOTHING SIMPLE” about gaining this knowledge nor confidence , to cross oceans, solo ! I was amazed that you put it in a simplistic catagory , and I was dedicated to follow you to discover your secret to simplicity ! Later I read a small written piece about your simplicity determination , on your blog site,,, that gave me pause , and that you too, recognized the enoromity of a sailing task , like sailing solo , any where , safely , that is ! Thanks! I’m so glad you like it. Yes, the world “Simple” is a paradox, isn’t it? My name is Rimas.I am a 61-year-od sailor born in Sochi on the coast of the Black sea in Russia. I live in USA about 25-years. I am tremendous gain experience through the Gulf of Alaska in 2012 May,June.But I am lasted a sailboat in Aleutian islands on the reef, my voyage it was around the world.My ambitious solo sailing around the world will be continuing 100% in May of 2013. Please email to me what do you think about me solo sailing. Once again an enjoyable read. Thank you for sharing. Great article, Teresa. Sailing solo at least once should be a requirement for all wannabe cruisers. More than once…more than once!! 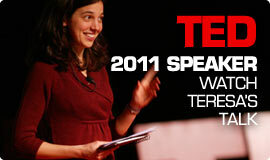 Hi Teresa, Just saw your Ted Talk a few days ago and read the article today. We just wanted to say that you are an inspiration to us as we enter the cruising lifestyle, both as a sailor and as a fellow human trying to do something good for the world. Keep it up. Solo lets you be free to experience what happens and the results of your actions. It is something few women ever learn let alone enjoy! I’ve sailed solo for almost 70 years and it is the best. In company with another solo friend is also enjoyable. I like being the captain of my boat and taking on the whole thing. The rewards are great and spiritually enhancing. Competence breeds more. Sail on!!! Thanks Annie! 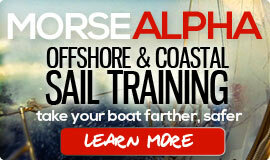 So good to hear of other women out there sailing solo! Just out of curiosity, any news on Daphne and where her new sailing grounds are? Hopefully she is still going out on her adventures on the high sea’s. Yes, Daphne is is great hands. I sold her to a colleague of mine at Outward Bound. I think she is currently sailing in Maine. Hi .. tho I am still a newbie ,i found ur article a bit , how to do say not really in the catagory of single sailing. U had another boat trailing , watching over u and anchoring close or next to each other. Not the same as us who have no backup nearby. what i was expecting was that u truely sailed alone . u did not . So wonderful u found a sailing partner on one boat but really u need to fess up it was not truly solo . Wish I had ur situation . Anyone who is really out there sailing would recognize that there is no backup. When it is rough, there is little possibility that another small sailing vessel would be able to turn their attention away from keeping themselves and their own boat safe and toward helping another. No one helped me when I had to give myself stitches. No one had my back when I sailed through 45knots of wind. No one helped me free the anchor when it was stuck on a derelict fishing trap. No one stood a watch for me when I was tired and riding out a gale. There was no backup. I often sailed in convoy with my boyfriend (now husband). But you are absolute wrong to assume he was with me always. I’ve known Ben for less than half of my entire sailing career. I also sailed solo, in large crews, professional, and recreational. You are assuming you know everything about my sailing experience based solely on one article or even my entire web presences. Your off-hand comment to “fess up” was rude. I always welcome questions, even challenges, but only if they come from an open and supportive heart. This blog has always been a place where sailors, dreamers, and adventurers (including myself) can learn and grow together. We share stories, ask questions, answer with honesty, and support each other. Your conversation is welcome, but I likely won’t reply again unless it is kind. I have little tolerance for internet trolls.